ASC INSULATION & FIREPROOFING, INC. BARTHENHEIER CONSTRUCTION, INC.
BERG PLASTERING, LLC. 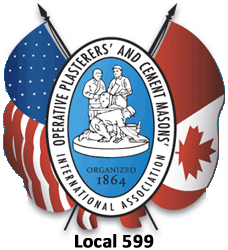 BEYER, D.G., INC.
G&W PLASTERING, INC. HALL, L.B. ENTERPRISES, INC. HETZEL-SANFILIPPO, INC.
HETZEL-SANFILIPPO, INC. JAHN & SONS INC. JARAMILLO CONTRACTORS, INC.
JOHNSON PLASTERING, LTD. LANGE DRYWALL, INC. LONGSHORE DALY, INC.
LVI ENVIRONMENTAL SERVICES, INC. N.J. SCHAUB & SONS, INC. NOSTAM INC.
fax (262)632-0072 W223N603 Saratoga Dr. STRUCTURAL APPLICATORS, INC. TITAN BULIDING COMPANY, INC. VALOE PLASTERING, INC.
W&G, LLC. WALL-TECH, INC. WINGHART & SONS, INC.